Spring 2016. Mame Trident in painted pot by Sano Diasuke. Spring 2016. A mame sized Trident in a vintage pot by Gyoun. Spring 2016. Chuhin Trident in a stunning pot by Stone Monkey Ceramics. April 2016. Mame trident in an Ito Tonyo pot. April 2016. 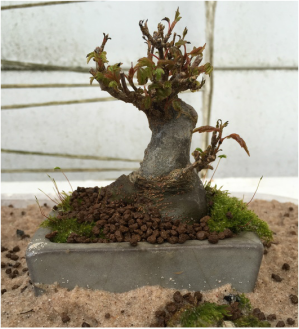 Root over rock trident in an Ino Shukuho pot. April 2016. 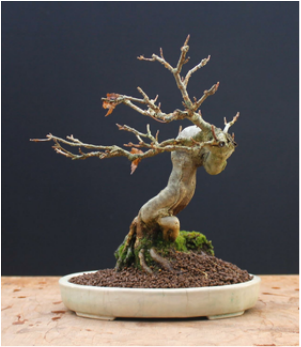 Shohin Trident in a vintage crackle cream glazed pot by Ikkou.